When officers with the Humane Rescue Alliance (HRA) began searching a home in Washington, D.C., last summer, they expected to find some unnerving sights. But nothing could have prepared them for who was lurking in the basement. 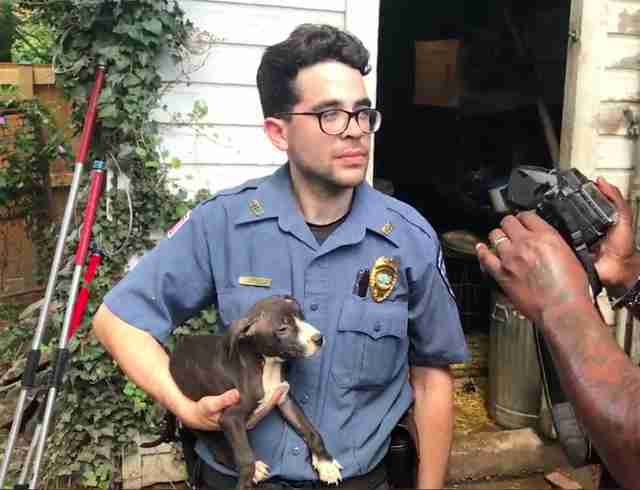 The property belonged to a man involved in a suspected dogfighting ring, and during the search, the officers found a dozen dogs and puppies being kept in small crates with fighting paraphernalia nearby. Then, in the cluttered basement, they found a large plastic bin that didn’t seem too suspicious — until they began hearing something splashing around inside. By the light of their flashlights, the offers carefully peeled back the lid just a few inches. Peering out through the crack at them was an American alligator, cramped up in the box with just a few inches of brown murky water around him. 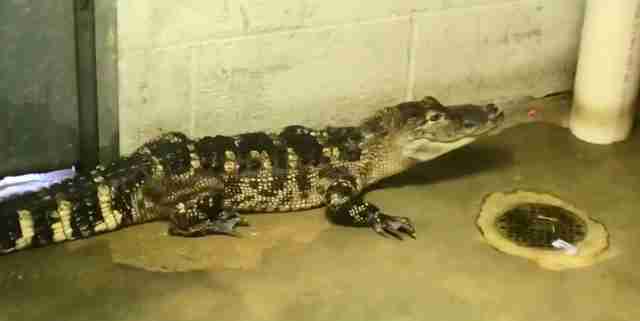 An anonymous caller had tipped the officers off about a potential reptile on the property — but the living conditions the 5-foot-long gator was being kept in were far stranger than anyone could have imagined. Because he hadn’t been able to swim or walk, the animal’s body was curved to fit the box. There’s no way of knowing how long he had been stuffed inside the pitch-black container, never seeing the light of day. That day, the alligator and all 12 dogs were freed from their suffering at the house and taken to rescue facilities. For the first time in so long, the animals were seeing sunlight, stretching their legs and being treated with compassion. 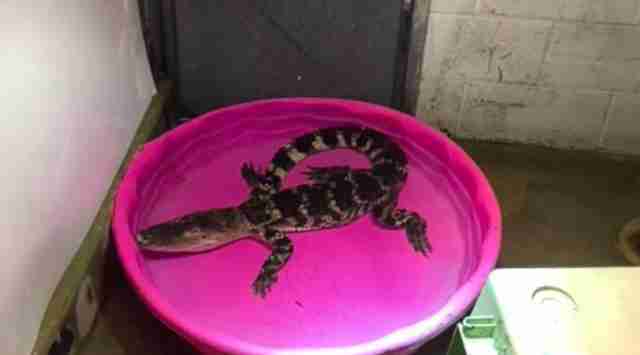 Shortly after, the alligator was transferred to an undisclosed reptile conservation center, where he will finally be able to lead a natural life after an abusive start. Even though his bones may be permanently damaged from living in such cramped conditions, he’s in the best place possible to start healing. While all the animals are recovering, HRA is now fighting for justice. Last Friday, authorities arrested Jaquan Jackson of Washington, D.C., in association with the case and charged him with felony animal fighting. 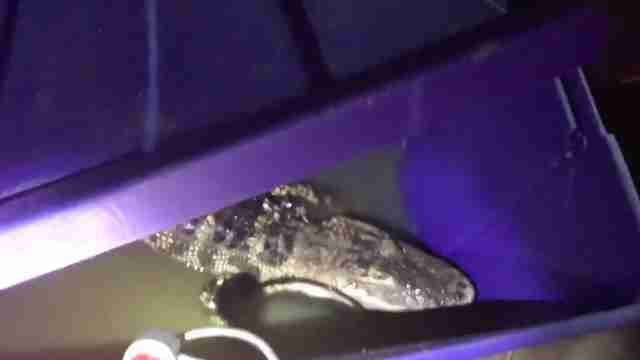 In the weeks ahead, other charges against him regarding the alligator will be presented to a Grand Jury. Once this case is closed, the 12 dogs will be available for adoption — but for now, they’re focusing on just one thing: Enjoying life as normal dogs for the first time in their lives. To support the care of the animals from this case, you can make a donation to the Humane Rescue Alliance.